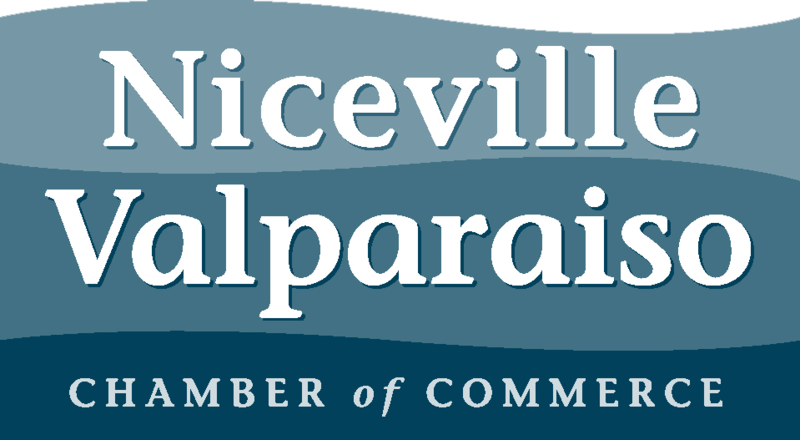 The Niceville Valparaiso area prides itself on being military friendly. With open arms, we welcome all branches of the United States Military whether it’s a short stay, or a place to call home! Visit the Chamber today so that we can assist you with your military move to our area! Has been a major employer in the area and played a prominent role in airpower history since its inception in 1935. While many military bases have undergone reductions in manpower, Eglin’s workforce has grown with the bed down of new missions, such as the Joint Strike Fighter (F-35) and the Army’s 7th Special Forces Group (Airborne). The unique features of Eglin’s air, land and water ranges have become a rare commodity for the United States military. The land area totals 724 square miles and 123,000 square miles of water test ranges in the Gulf of Mexico. As the Department of Defense’s largest Air Force installation, Eglin is home to several units and responsible for a $2.5 billion economic impact. As Eglin’s host wing, the 96th Test Wing leads more than 9,800 military, civilian and contractor personnel providing essential base operating support and services for three wings, Armament Systems Directorate, nine operating locations, five detachments and more than 25 associate units, executing an annual budget of more than $125 million. The 96th TW is the test and evaluation center for Air Force air-delivered weapons, navigation and guidance systems, Command and Control systems, and Air Force Special Operations Command systems. The wing provides expert evaluation and validation of the performance of systems throughout the design, development, acquisition, and sustainment process to ensure the warfighter has technologically superior, reliable, maintainable, sustainable and safe systems. The 96th TW performs developmental test and evaluation across the complete system life cycle for a wide variety of customers including: Air Force Systems Program Offices, the Air Force Research Laboratory, logistics and product centers; major commands; other Department of Defense services and U.S. government agencies (Department of Transportation, NASA, etc. ); foreign military sales; and private industry. Also located on Eglin, the Armament Directorate is a joint U.S. Air Force and U.S. Navy organization responsible for cradle-to-grave management of air dominance weapon system programs equipping warfighters with strike weapons to fight and win decisively. The directorate is responsible for enhancing worldwide Air Force combat capability, effectiveness, aircrew survivability, and readiness through joint development, procurement, deployment and sustainment. This mission is executed by air combat test and training systems, expeditionary support equipment, munitions handling equipment and armament subsystems, Explosive Ordnance Disposal support equipment, and realistic Electronic Warfare threat simulators. Other major units based at Eglin include the 33rd Fighter Wing, 53rd Wing, Air Force Research Laboratory Munitions Directorate, 7th Special Forces Group (Airborne), Navy Joint Explosive Ordnance Disposal School, 6th Ranger Training Battalion and the 20th Space Control Squadron. Is home of Air Force Special Command (AFSOC), the Air Force component of United State Special Operations Command. AFSOC provides America's specialized airpower and also trains, equips, educates and deploys Air Force special operations forces around the world. AFSOC's largest special operations unit, the 1st Special Operations Wing, is based at Hurlburt Field and specializes in unconventional warfare, focusing on the insertion, extraction and close air support of Special Forces. The unit has played a significant part in every conflict since the Vietnam War. The 1st SOW flies AC-130U gunships, MC-130H Combat Talon IIs, MC-130P Combat Shadows, CV-22 Ospreys and U-28As. The other major units located at Hurlburt include AFSOC's newest wing – the 24th Special Operations Wing, the Air Force Special Operations Training Center, and the 505th Command and Control Wing. The primary mission of the 24 SOW is to provide Special Tactics forces for rapid global employment to enable airpower success. The 24 SOW is USSOCOMs tactical air/ground integration force and the Air Force’s special operations ground force to enable global access, precision strike and personnel recover operations. AFSOTC encompasses the United States Air Force Special Operations School, which offers courses in geopolitical, psychological and military aspects of the U.S. Air Force and Joint Special Operations. AFSOTC also oversees the training of all AFSOC air crew. The 505th CCW, a subordinate unit to the Air Warfare Center headquartered at Nellis Air Force Base, Nevada, directs USAF operational air and space command and control center of excellence and builds the predominant air and space command and control capability for the war fighter. Hurlburt is also home of the Air Combat Command's 823rd RED HORSE Squadron (RHS). The 823 RHS is a civil engineer squadron that rapidly deploys worldwide to support Department of Defense combat construction and peace time disaster response needs. Located four miles south of Crestview, Duke Field is the home of the 919th Special Operations Wing. The only special operations wing in the Air Force Reserve, the 919th SOW employs more than 1,300 reservists and 300 full-time civil service employees. Air Reserve Technicians, commonly referred to as ARTs, provide the full-time continuity and support to keep the units and members combat ready. ARTs carry dual status as a full-time civil service employee for the U.S. Air Force and, as a condition of employment, must also participate as Reservists. More than 280 ARTs and 40 civilians support the wing in day-to-day operations. The wing also has about 80 Active Guard Reserve members (full-time military members) to assist in full-time support for different combat missions. The 919th SOW, in a classic association with the Air Force Special Operations Air Warfare Center, provides operations and maintenance personnel to support the nonstandard aviation, foreign internal defense and combat aviation advisor programs for the Air Force Special Operations Command through the use of the C-145A and C-146 aircraft. The wing conducts formal training unit flight instruction through a classic association with the AFSOAWC for most special operations aircraft platforms. It also employs the MQ-9 Predator remotely piloted aircraft in a geographically separated classic association with the 27th Special Operations Wing, Cannon AFB, N.M. The wing provides personnel to support AFSOC taskings and AFRC Air Expeditionary Force taskings relating to security forces, civil engineering, communications, logistics, supply, transportation, services and personnel functions. "Lo Que Sea - Cuando Sea - Donde Sea"
The Special Forces Mission: Organize, equip, train, validate and prepare forces for deployment to conduct worldwide special operations, across the range of military operations, in support of regional combatant commanders, American ambassadors, and other agencies as directed.